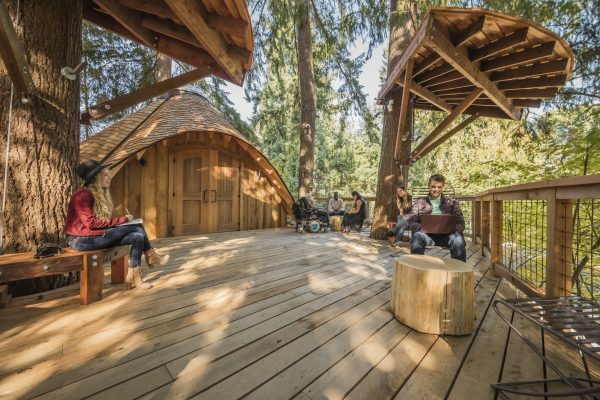 In the grounds of their Redmond HQ, Microsoft have unveiled a unique series of hi-tech meeting rooms situated high amongst the trees. These treehouses inspire staff’s creativity and literally put employees in touch with nature. The thought behind the project is that research shows being in touch with nature improves creativity, focus and happiness. 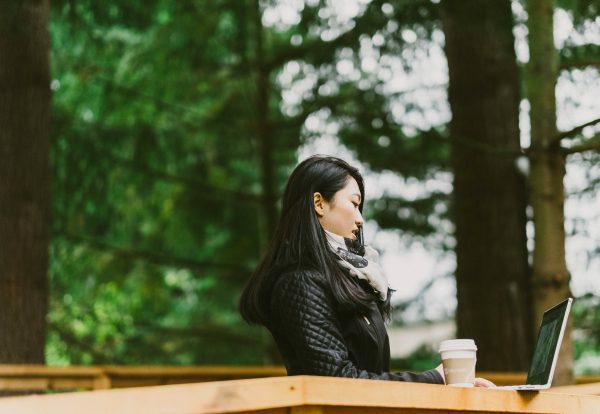 Embracing this philosophy, Microsoft utilised over 500 acres of woodlands and outdoors space at their Redmond HQ to build 3 treehouse workspaces as new additions to their massive campus. As you would expect each treehouse is fully equipped with WiFi, meeting rooms, outdoor communal areas, electricity and amazing views. The treehouses were designed by Pete Nelson of Discovery’s Treehouse Masters.